Sunday was horrible weather. 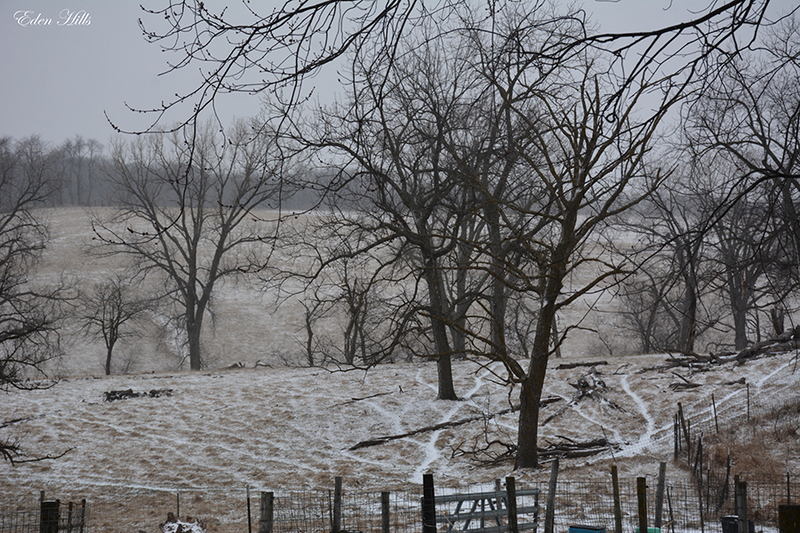 It was cold, and by the afternoon, we had snow. I decided it was a good day to start cleaning the closet out in my new bedroom. I forgot to take a before picture, but I promise, you could not see the floor when I started. 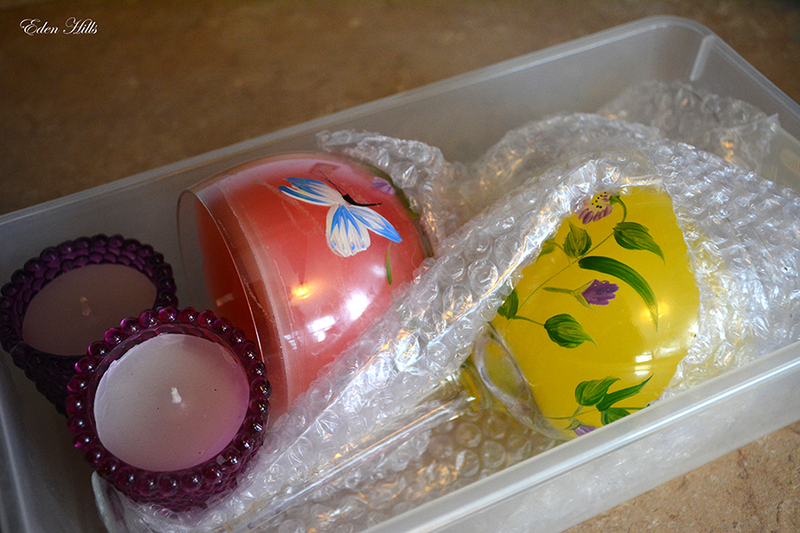 Most of that floor space was filled with boxes of candles I had made several years ago. I was pleasantly surprised to find most of them still had a good scent. 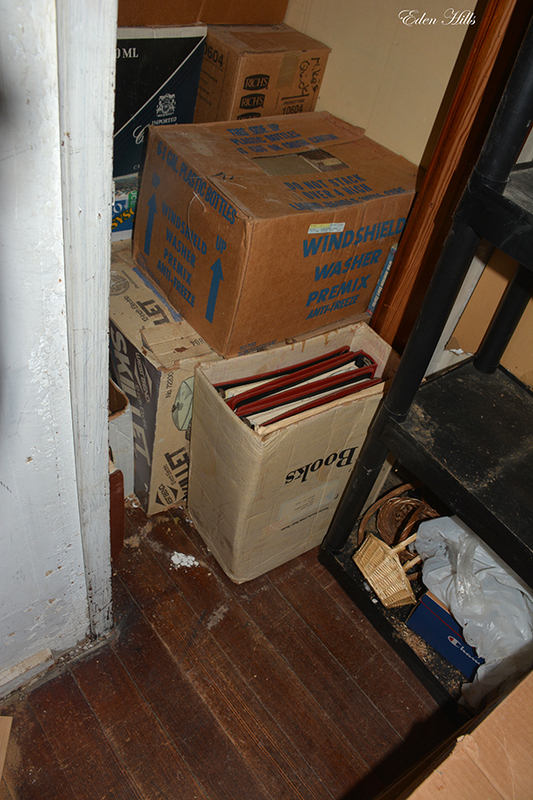 All of those boxes left in there (and it goes back to the bottom of the stairs) are filled with books. 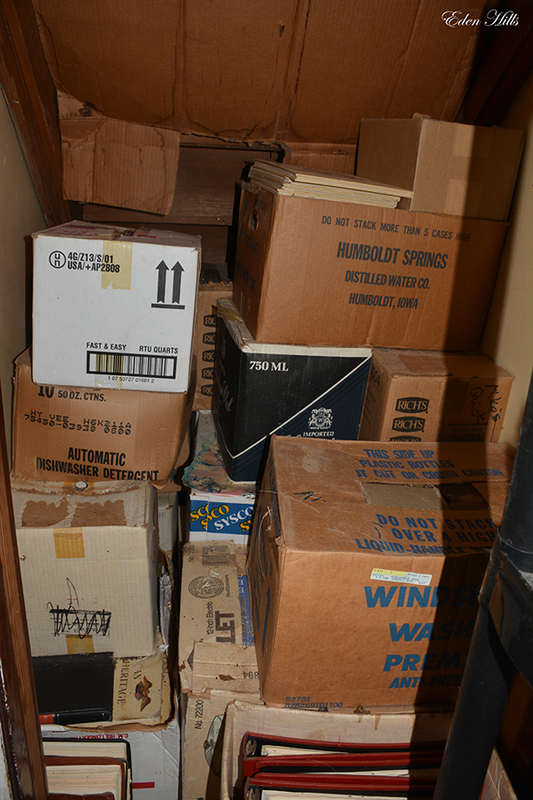 So far, I’ve hauled several boxes up and sorted them alphabetically. I’m currently judging space and how many more shelves I need and how to organize. I get way too geeked out just touching and organizing my books. 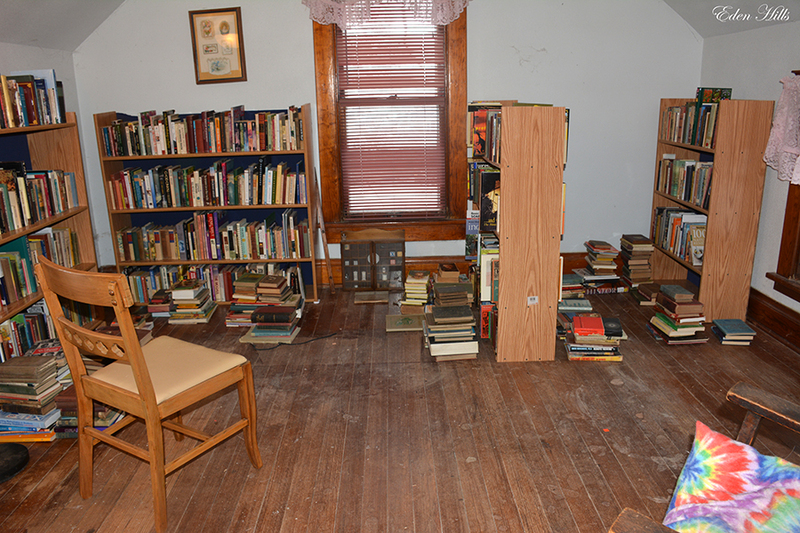 The shelves below are letters B – V. I seriously need to clean that floor when I get done unpacking dusty books. Sheesh. 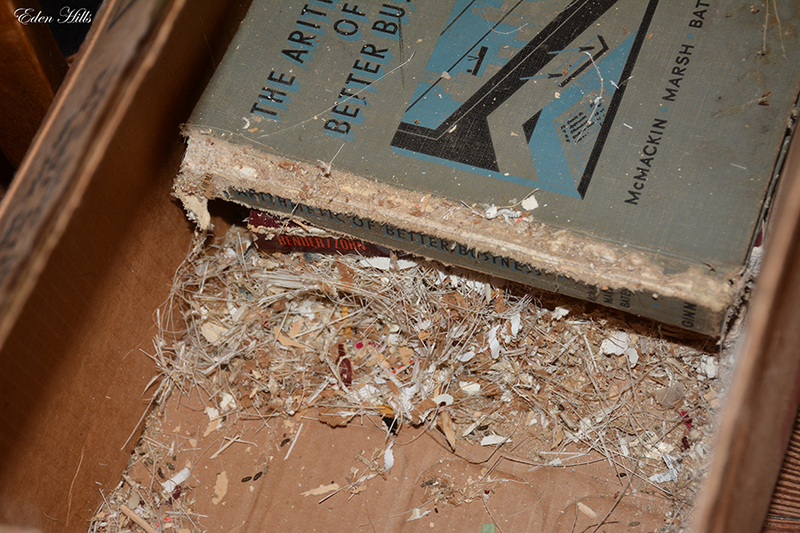 I have only found one box so far with any real mouse damage. That’s already better than I thought, but I’m not looking forward to those boxes on the bottom in the back. 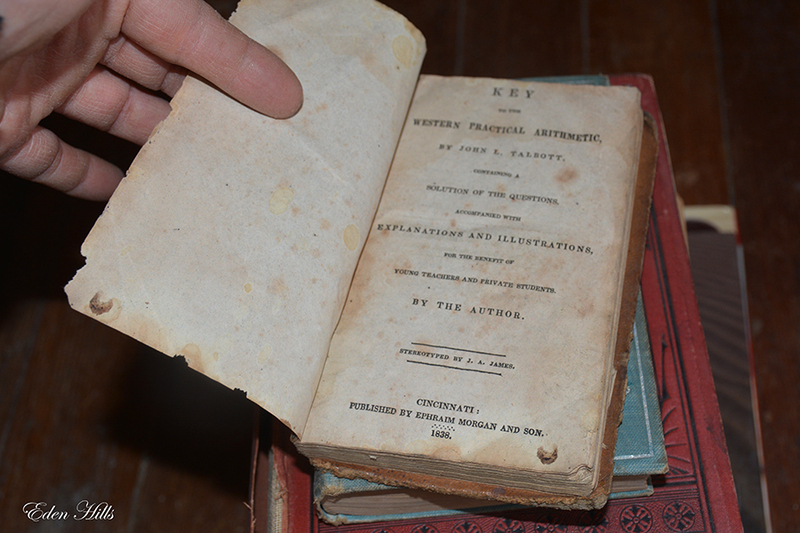 The oldest book I’ve taken up so far is this math key from 1838. I’m excited to see what other gems I have in there. I can hardly wait to have it all done.